Inside:Tons of Non-Candy Easter Basket Ideas from silly and sweet to cute and clever. Something for all your little bunnies. I’m definitely not a “no candy” mom, but holidays like Easter can sure leave my little bunnies too hopped up on sugar. I’m also not a fan of all the plastic, mass produced junkaroo that enters our home via the birthday party treat bags, Sunday School, or the fabled dollar store. For the last few years, I have tried to be more intentional about what I purchase for my kids’ baskets and have come up with a large selection on Non-Candy Easter Basket Ideas. My kids love getting most of these items, and I love giving them because they are fun and affordable and I know that my kids will actually use them beyond Easter morning. 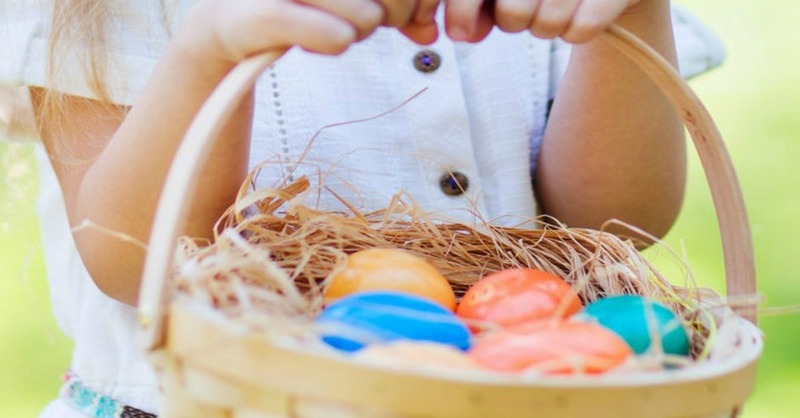 Feel free to steal a few of these non-candy Easter Basket ideas for your own kids. The thing that probably helped me cut-down on the candy and find unique Easter basket ideas was reducing the size of their baskets. The smaller the basket, the less I have to put in it…my genius is overwhelming, I know. 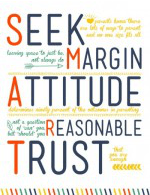 It also made me more intentional in what I selected for them and to use their individual interests as my guide. Artsy kids will love art supplies, My lego loving boy was thrilled with small lego sets and mini – figures, my tween loved lip balm and hair accessories. pencils require less pressure to achieve extra vibrant colors which make them perfect for young children! 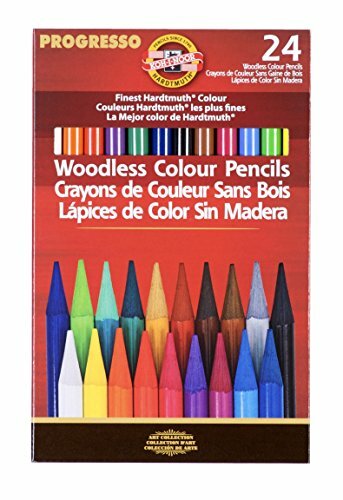 I immediately purchased these after we returned home and they’ve been used daily and renewed an interest in drawing for my son! 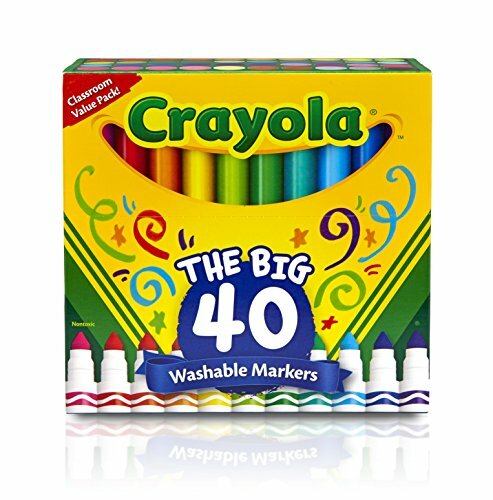 Crayola Washable Markers– if you’re kids love to color with markers, but you’re worried about them potentially trying to add color to your walls or other places that aren’t intended to be their creative spaces, these are the best markers ever! Great vibrant color, but easily wash off clothes and other surfaces. Hand them over and you might even be able to turn your back for a few minutes. Crayola Bathtub Crayons – I used to love these when my kids were smaller. They could keep them entertained in the bath for a good twenty minutes. I’d bring in my favorite book and actually get to read real words, while they created masterpieces that only took a squirt of the shower to remove. 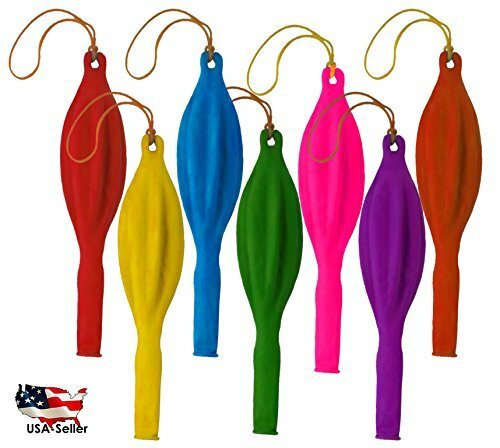 Water Balloons – So much fun and now that the weather is getting warmer, it won’t be long before your kids can go outside and launch a full scale attack. The only problem is that it always took so dang long to fill up all those balloons. Now, you can do 100 at once. Let the games begin! 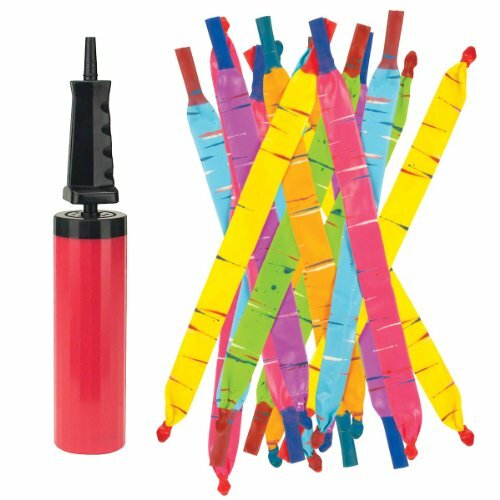 Punching Balloons – seriously, do you remember these from when you were a kid. I sure do. Best. Thing. Ever. and even with all their awesome techie gadgets today, kids can still appreciate some old school fun. fish sets. My son got these at a birthday party and they were such a huge hit. They provide enjoyment and are just FUN to watch! 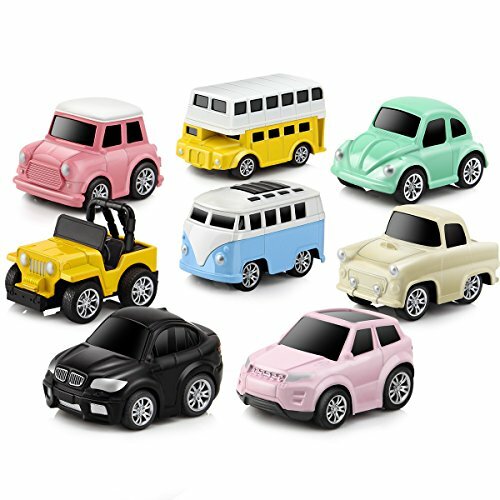 Pull Back Cars – how cute are these little rev ’em up and go vehicles?! 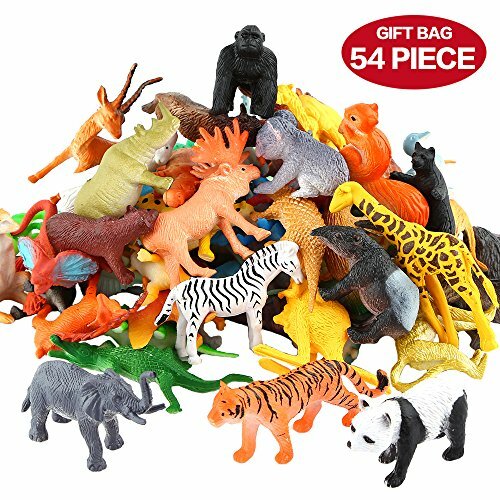 Animal Figures for Pretend Play – These are awesome go anywhere toys. Some can stay at home, stash a few in the car and another couple in your diaper bag or a backpack. Your child can create an insta-zoo wherever he/she goes. Tons of other animal choices available. 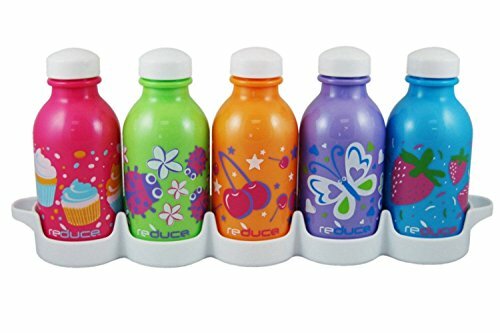 Kids Water Bottle Set – With Summer only a few months away, I like to start restocking our water bottle supply before the endless Summer Camp losses begin. Please tell me it’s not just my children that struggle with the concept of bringing home the water bottles they left with that morning.These are a favorite because they come in sets of 5 with a refrigerator tray that makes storage a breeze! Several styles available. 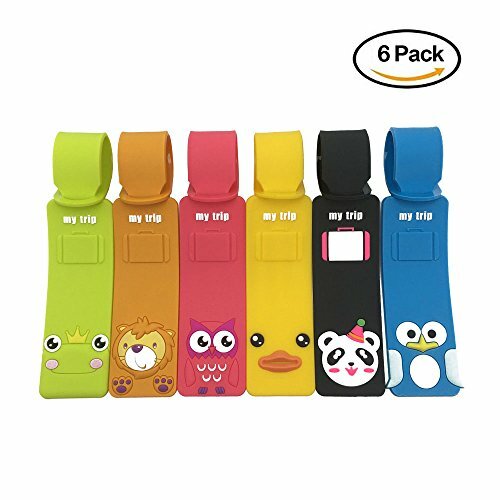 Luggage Tags – Keep your kiddos bags straight with their own cute little animal luggage tags. Great for putting on backpacks for field trips or other kids gear that you want to keep track of wherever they may roam. 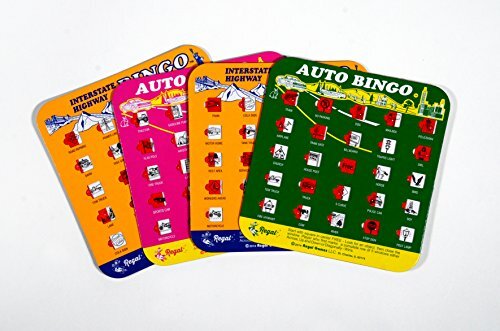 Original Travel Bingo – Sorry, but this game will never go out of style. A great way to get kids off their devices and looking at the world around them on short or long car rides. 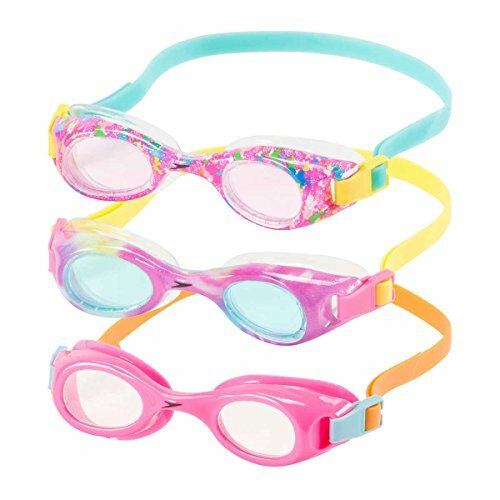 Goggles – Every year my kids inevitably lose a pair of goggles leaving them at the beach or a friend’s house. Or honestly, they just can get worn out. Always a great repeat gift for the Easter basket. 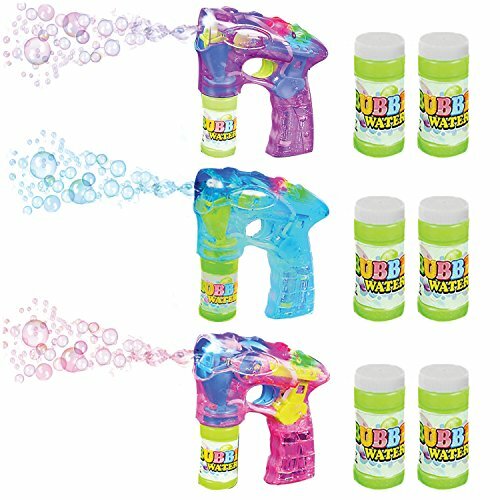 Bubble Gun and Bubbles – Get them outside and chasing bubbles with these awesome bubble blowers. 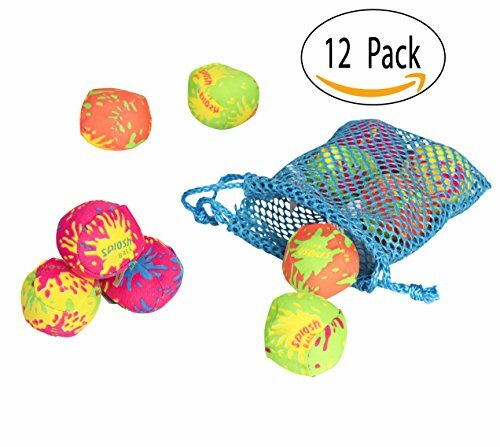 Splash Bomb Balls– It’s pool time! My kids adore these and they are so inexpensive for a set of 12 I put some in their baskets and hold onto the rest for later in the season. 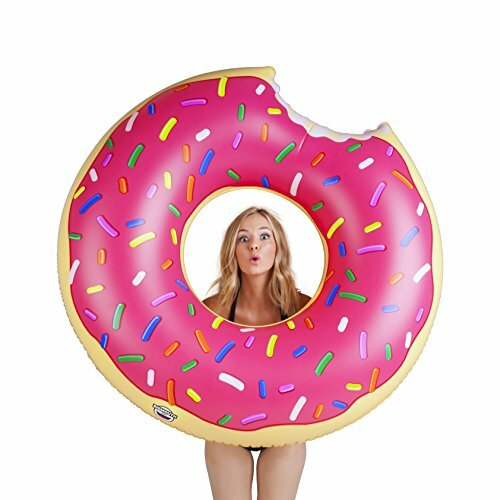 Donut pool float – Who doesn’t want a gigantic donut floating in their pool. If nothing else it makes a great conversation piece. 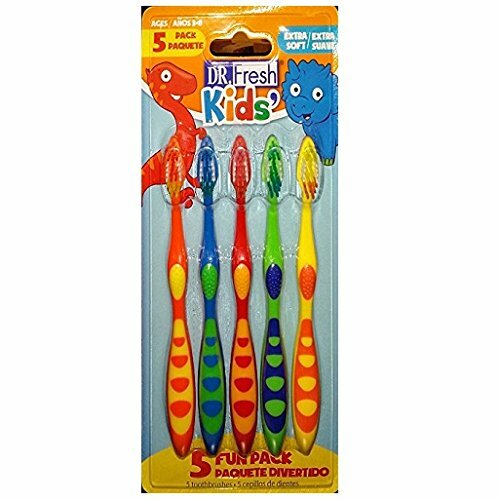 Kids Toothbrushes – Do you know you’re supposed to replace their toothbrush every month? And more often if they get sick. Never hurts to have extras on hand and these brightly colored ones are fabulous. 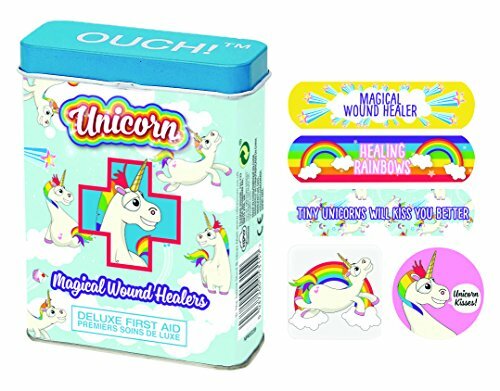 Unicorn Band-Aids – What kids doesn’t love band-aids. Sometimes they just make up boo boos so they can put on a new one. This unicorn ones are on trend and totally cute, but go with whatever your kids favorite character of the moment might be. 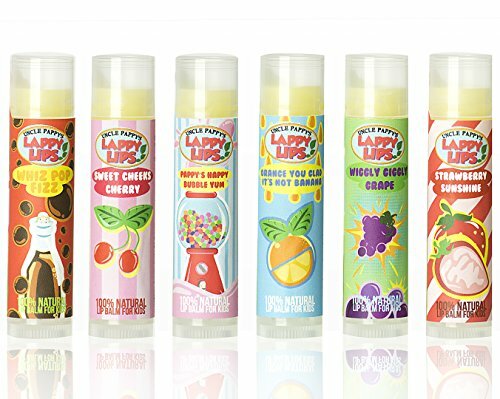 Lip Balm – Chapped lips are a problem and it happens to our kids too. They’ll love putting on this fun and flavored variety that just happens to be organic too. 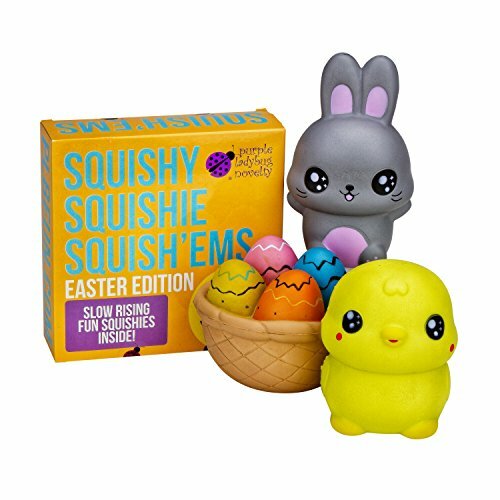 Slow Rising EASTER BUNNY & FRIENDS JUMBO SQUISHIES PACK in GIFT WORTHY BOX: Bunny, Chick, & Easter Basket Kawaii Soft Squishy Toys & BONUS Stickers Come With the Squishys! Squishies– They are all the rage right now and kids can’t get enough. Get them a special set just for Easter or choose from a bazillion other equally cute and fun to squeeze. 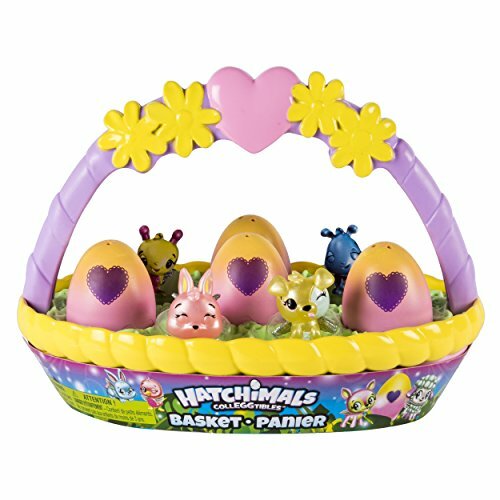 Hatchimals – Admit it, these are pretty cute. It’s not surprising that kids are crazy about collecting all these adorable little critters who actually hatch. LOL Surprise– Totally don’t get these, but kids love them. One of the hottest toys on the market right now and just the right size to stick in an Easter Basket. 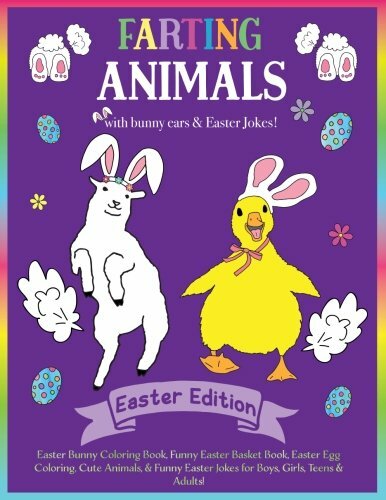 Farting Animals Easter Edition Easter Bunny Coloring Book with Easter Jokes! : Easter Basket Stuffer for Boys, Girls, Teens & Adults! With Funny Bunny … Cute Easter Animals, Funny Easter Fart Book! 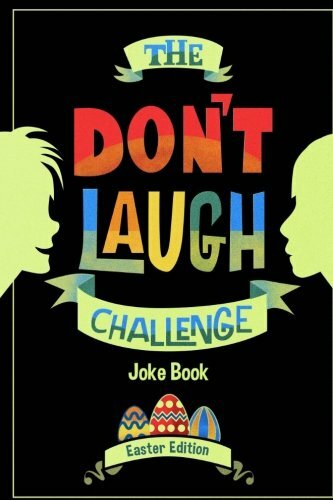 The Don’t Laugh Challenge Easter Edition – Kids love jokes and this takes it to a whole new level, creating an awesome opportunity for fun family interaction. Who will be the one who can hold out the longest and keep a straight face, and who will be the first to burst into uncontrollable giggles. 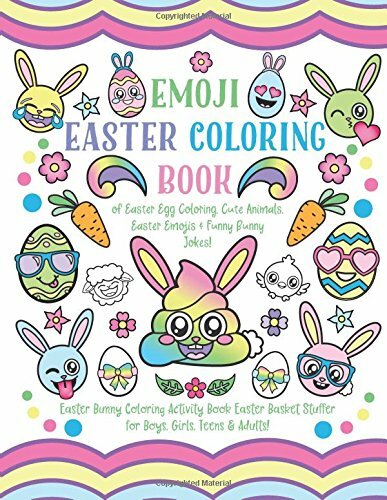 Emoji Easter Coloring Book – Filled with tons of their favorite emojis to color along with lots of Easter themed activities. Something a little bit silly their sure to enjoy! 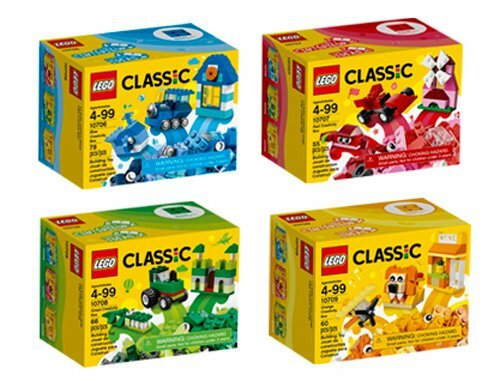 Lego Classic Mini Sets – Lego has tons of small sets that are just perfect for the Easter Basket. You can go with classic or opt for a more modern set like Ninjago or Star Wars. Even the more girl leaning Friends sets are available. 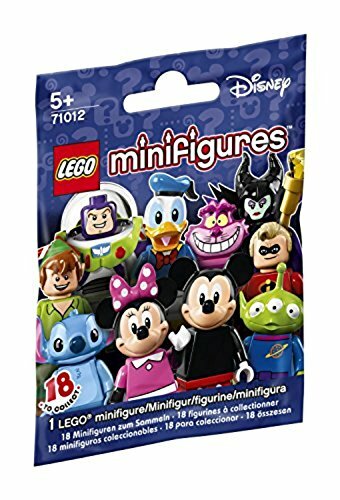 Minifigures – You can’t ever go wrong with Lego minifigures. Kids love these and with hundreds to choose from you can find an exact match to meet your kids latest interests and favorite people from super heroes to Disney. 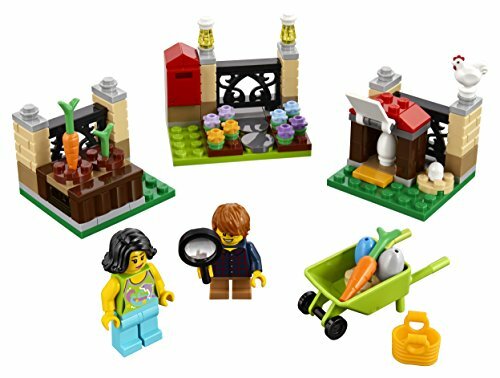 Lego Easter Sets – Well of course Lego has sets that are holiday themed! Whether you want to sent your minifigs on their own Easter egg hunt or build an adorable bunny or a chick, there are options for everyone. I hope you like all our Non-Candy Easter Basket Ideas – now hop to it! Spring time Easter Basket idea’s…. 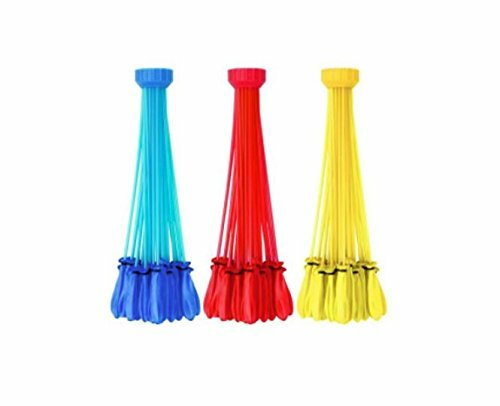 I also love skipping ropes, lemon twists, bike bells/horns, a bike flag or helmet, a kite, sidewalk chalk. Rubber boots (puddle jumpers) , butterfly nets, bubbles, Balls. Anything to play with OUTSIDE! Tattoo’s, stickers and a few jelly beans can be hidden inside plastic egg’s….along with baby carrots. Great ideas. I’m so over all the candy in baskets, will definitely use some of these ideas. I hear ya’! We’re still working our way through the madness of Valentine candy over here! I am loving these non-candy ideas! With the amount of sugar my kids consume on a weekly basis, this will be a great idea to implement for Easter. I’m right there with you, Nicole! I love the cute non candy ideas! They are fun! Thank you! Great ideas!! Growing up we only got a few candy items and rest small toys or crafts! I love this idea! My childhood basket was much the same, Krayl! With 5 kids past sippy cups I love that bottle set! It would be perfect for our family for one day! I love those sets as well! These are great ideas – and reminded me I have yet to even think about basket treats for my daughter! I did the silly thing and bought a basket as big as her and now I have to figure out how to take up some space! Yes! I need to use this list a shopping guide. 🙂 I really like the Hexbug idea. My kiddos love them. No sugar comma? That makes this momma happy!! That must be tough, Lashawn. There are some pretty rocking’ flavored jelly beans these days! Oh my gosh, love these ideas, especially the Hexabug fish. 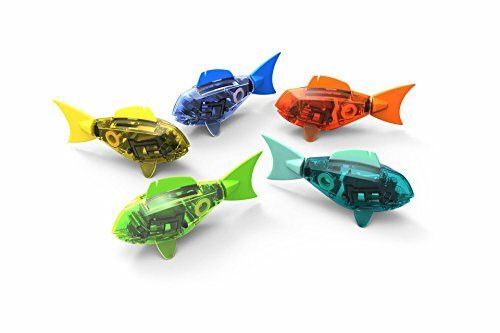 We have the bugs, but I’ve never seen the fish and my youngest would love one of those. We love those fish in the pool, hours of fun! Amen! Uhg. I get tired of the candy! My mom did a few candy items but it was mostly decorated eggs, books, and bubbles, and small trinkets like nail polish or a new wallet or something like that. Great ideas I just bought my kids their basket today and bought my son a tshirt that he had been eying to put in there. Yessss!! I don’t care how large I scribble my son’s name on his water bottles he is always losing them. I was purchasing the more expensive ones but now he gets Dollar Tree picks because he can’t seem to keep up with them. Great ideas, my children love arts and crafts so the colored pencils might work for them.